I finally managed to post about this make! 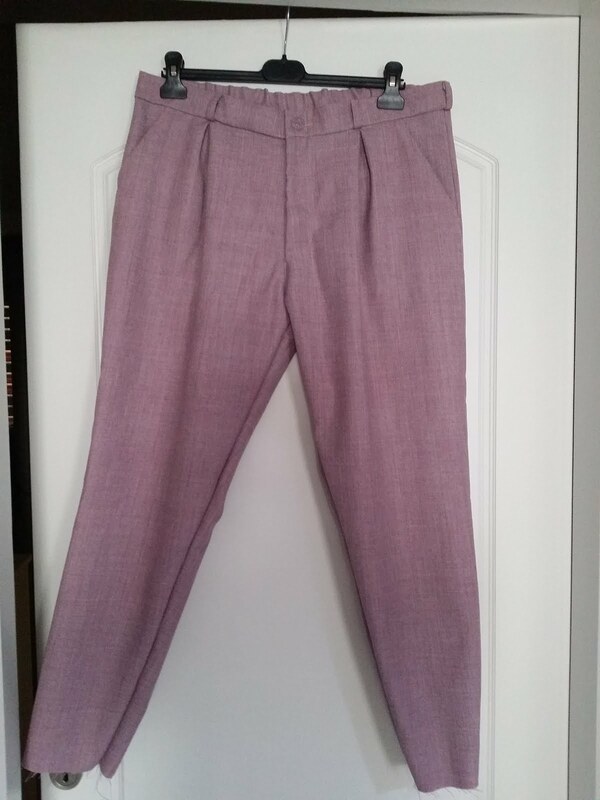 I made my first pair of trousers! Actually, I did not only make my first pair of them but also I made my first fly zipper and welt pockets! Yay! 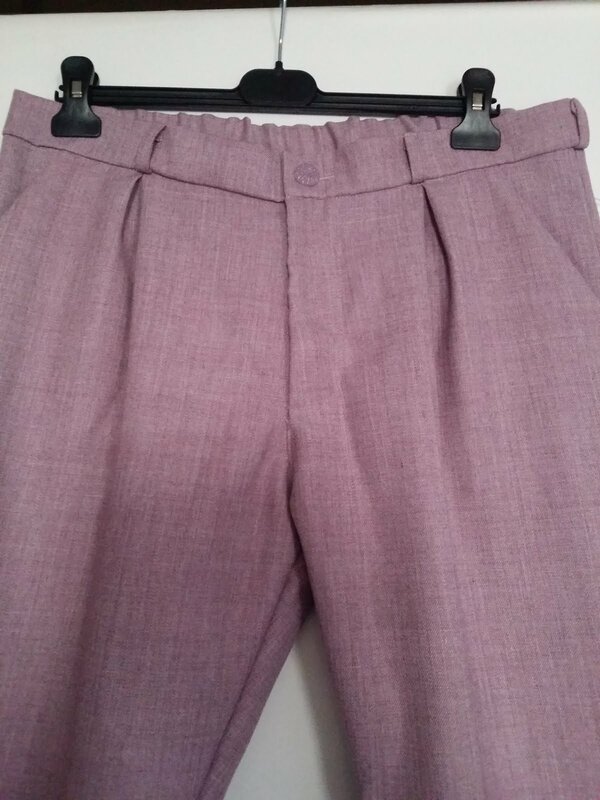 The pattern that I used is the “Guise pant” by Papercut patterns. It is a versatile pair of pants and they are very comfortable. They have side pockets, fly zipper with a button for closure in the front, back welt pockets and elasticated back waistband. The difficulty of this pattern is labelled as a “skilled” which means that is for skilled sewers according to the company. 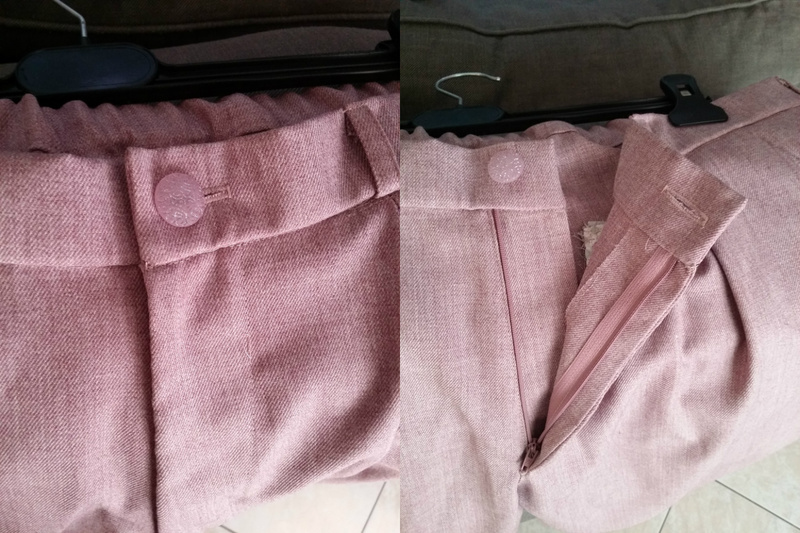 I used 1.40m of 1.50m wide wool mix suiting fabric in dusty pink (same fabric that I used for Cleo dungaree dress by Tilly and the Buttons, here is the review of that) which I purchased locally. It cost 3€ per meter. Really good deal. For the pockets I used cotton poplin fabric with colourful polka dots which I already had in my stash. 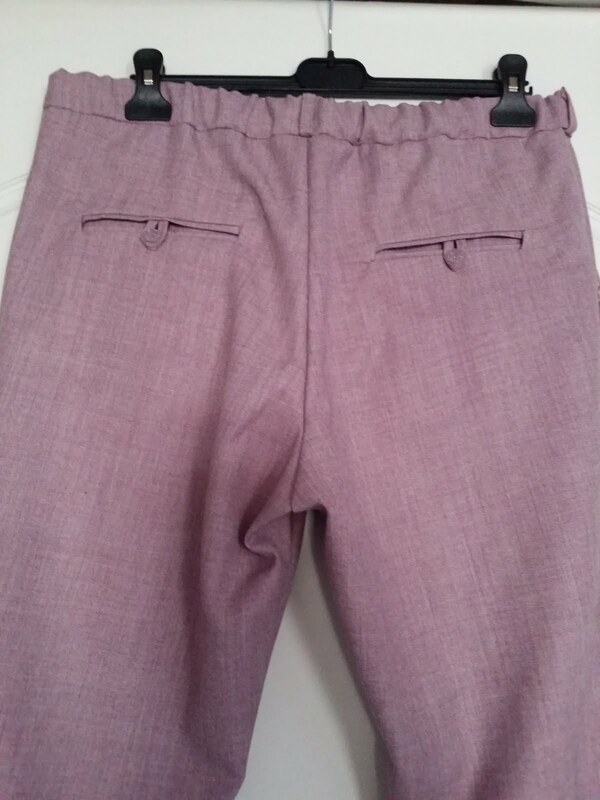 Finally, I bought a regular trouser zipper and 1 bigger button for the front closure and 2 smaller for the welt pockets – I bought them from the local haberdashery. 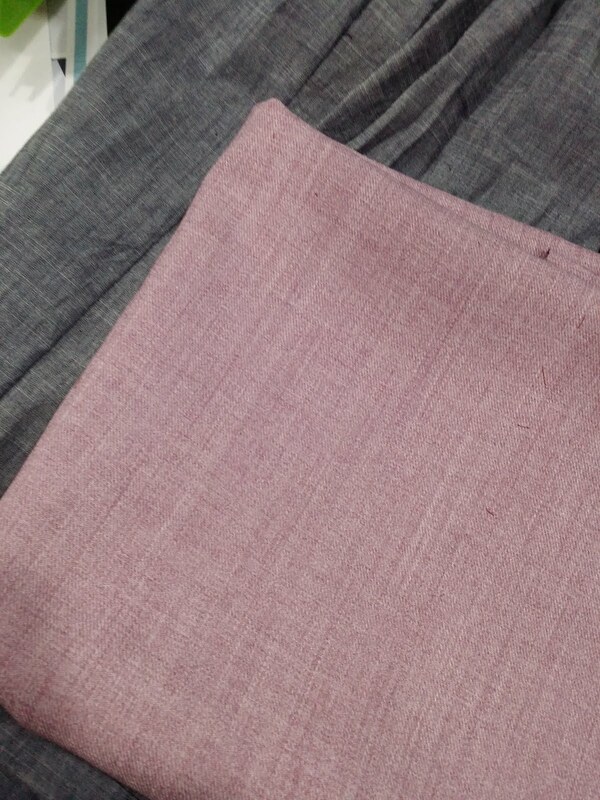 I made straight size M without any alteration. 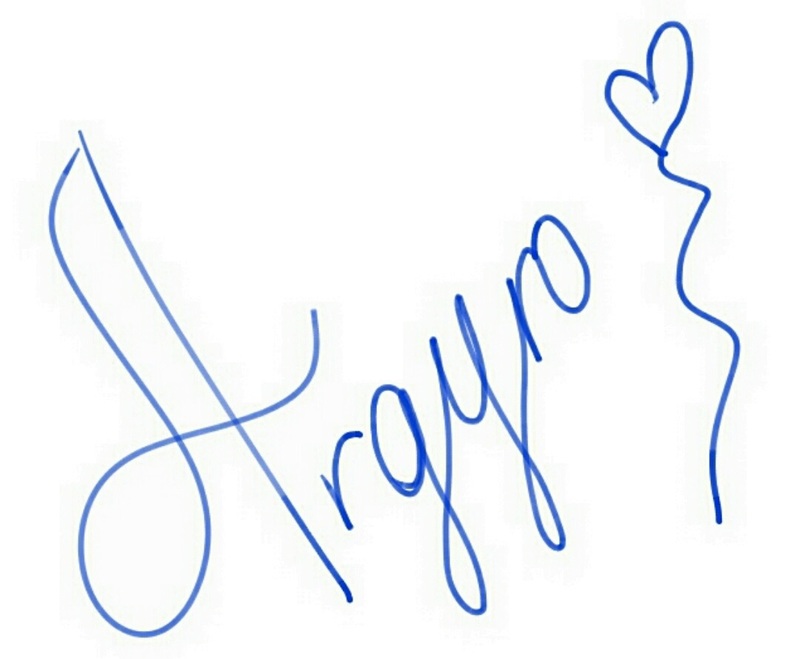 .silly me! This turned out really big for me! Because of the side front pockets, I couldn’t take the side seams in afterwards. Be aware of the size choice! I suggest you go for the finished measurement size chart! My first fly zipper! I’m feeling so proud of that! Unfortunately, I had the same issue that I had with my #littlereddressproject. I had already cut my fabric pieces while in the meantime I lost some extra weight. That way, the pants turned out bigger than I was expecting! I’m really happy that slowly – slowly I get back to my previous measurements (my pre – pregnancy size)! However, I cannot wear the pants because they are at least 1 – 2 sizes up. The instructions were very clear. The only phase that I struggled with was while I was making the welt pockets. I must had read it at least 10 times before I got it! Ha ha! Well, as I mentioned before these were my first welt pockets! So I’m so proud of them! 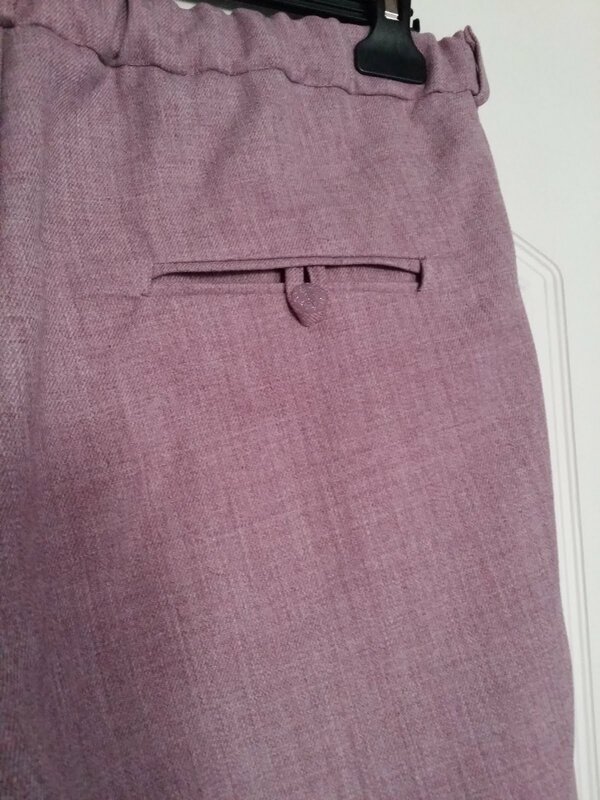 I chose to slip stitch the welt pockets onto the pants from the inside just to secure them in place. As far as the fly zipper is concerned, I was very afraid of that but thankfully I didn’t have any problems. 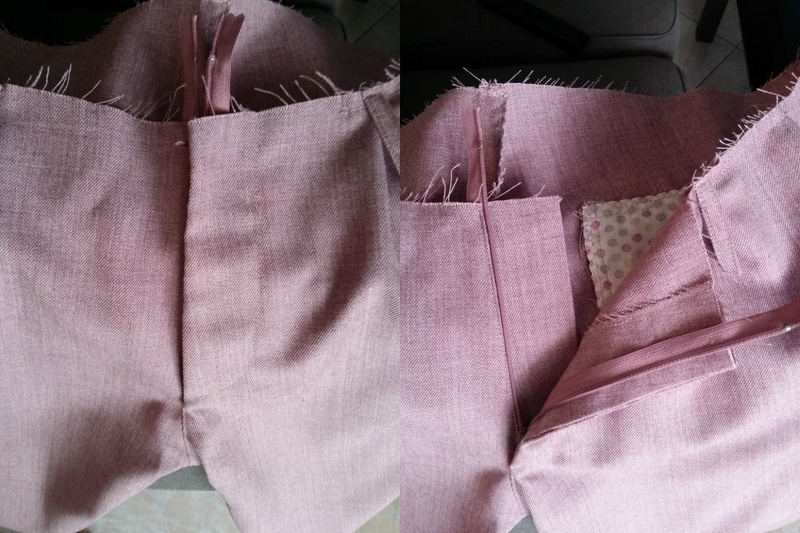 The only thing I didn’t like in the instructions was that when I had already cut my pattern pieces, I put my leftover fabric (which I didn’t need anymore) aside and then the pattern asks to cut another piece of fabric. I found this a bit annoying. I prefer cutting all the pattern pieces at the beginning. The truth is that at first I didn’t read all the instructions through the end; just the first steps. If I had read them, I could avoid this. I’m happy with the final result! It is a beautiful garment. I learned a lot along with this pattern and it is a totally recommendation. 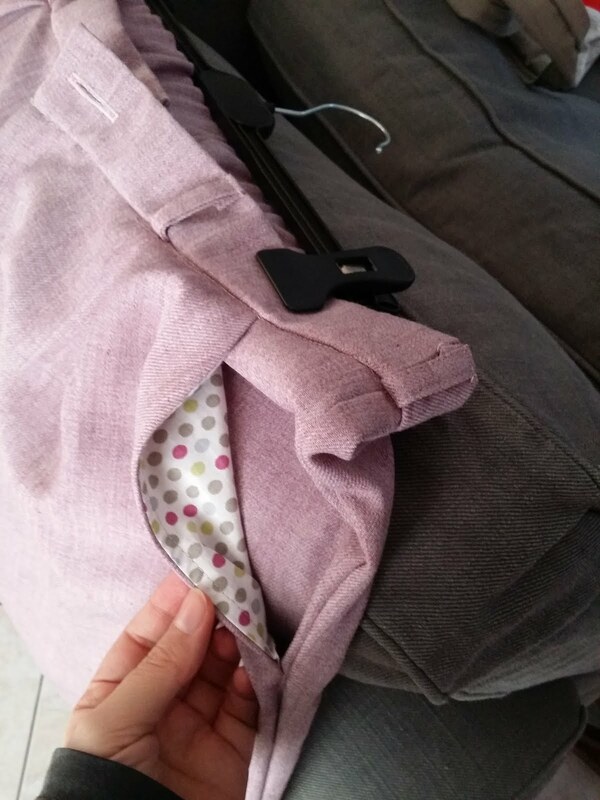 It is “perfect fit’ forgiving pants because of the back elasticated waistband. As I noticed before, it is bigger than I intended to. That way, this pants may be a gift for a friend of mine – if it fits her well! (That’s why I haven’t hem it yet..shhhh!!). In case, it isn’t her size I’m gonna keep it for a future use (future pregnancy )! In the meanwhile, I plan to make another one for me (this time in my actual size!)! Such a shame they don't fit you in the end but theyll make a great present for your friend! And a total win with the welt pockets etc! !